The Mini turns 60! - To celebrate the 60th anniversary of the launch of the Mini, the theme of this year’s show will be The Year of the Mini. 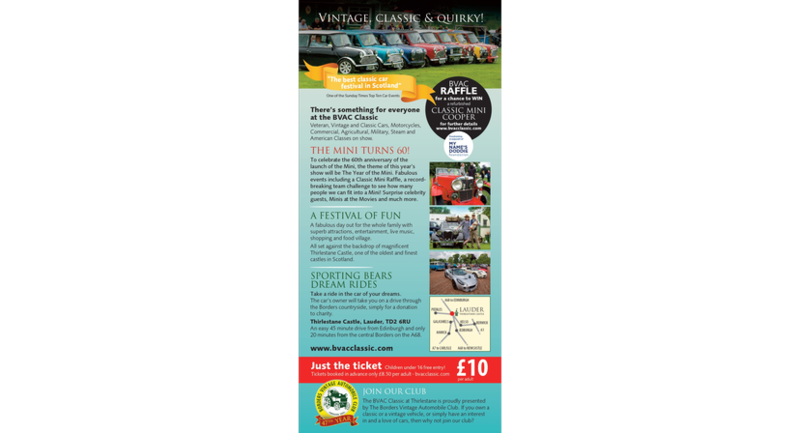 Fabulous events including a Classic Mini Raffle, a record-breaking team challenge to see how many people we can fit into a Mini! surprise celebrity guests, a celebration of Minis at the Movies and much more. 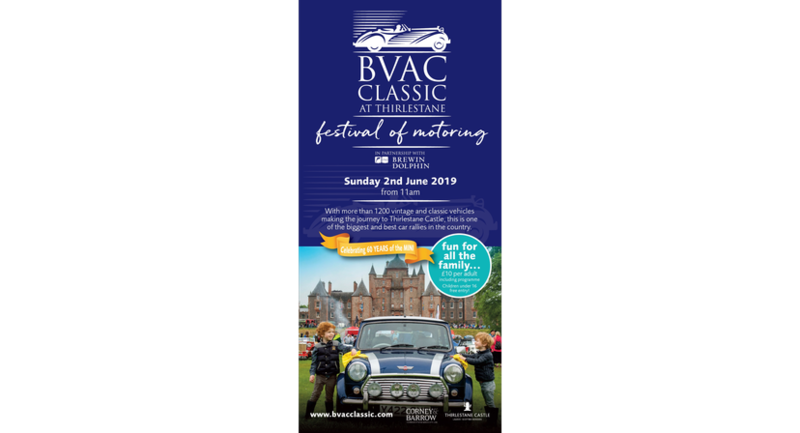 BVAC Raffle - Win a Classic Mini Cooper - Don’t miss the chance to win a refurbished Classic Mini Cooper. Fundraising in support of My Name’5 Doddie foundation. £10 per adult - Children under 16 free entry! Thirlestane Castle, Lauder, TD2 6RU - An easy 45 minute drive from Edinburgh and only 20 minutes from the central Borders on the A68.